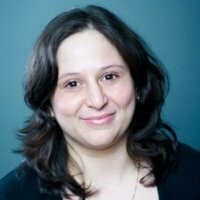 Julia Doctoroff has recently joined makepositive as an Implementation Consultant. Previously working at Addison Lee on an in-house Salesforce project team, Julia has no less than 6 Salesforce certifications to her name and has been working with the Salesforce platform since back in 2012. Julia is originally from San Francisco and misses the sunshine of California. Outside of work, she spends a lot of time visiting palaces and castles, “Since they don’t have those on the West Coast of America!” jokes Julia. *According to recent research, women make up approximately 27% of tech company employees. At our makepositive office in India, 33% of our workforce are women, 66% at our office in Manchester and 39% at our office in London. No comments on "New Appointment: Julia Doctoroff"